Why is your username named after an unreleased vincent gallo movie that has jf music in it? Yeah if you have if please post a link to that and The Agent! I've always wondered about a particular "lost" De Facto show at which Omar met John Frusciante. Some say that they opened up for one of his 2001 solo performances, but I couldn't find any evidence for it. - they met at a De Facto show, and Omar didn't know John was a musician. - it must have took place after Tremulant was recorded (dec 2001, released in april 2002), because allegedly Omar gave it to John soon after they met. - it must have happened before august 2002 cuz that's when the infamous defacto/frusciante jam took place. I've found an article confirming that they actually played and a picture of the show's running order. Notice how one of the other bands was Autolux. The same year, their drummer Carla Azar played with Josh Klinghoffer in Vincent Gallo's touring band. So there is this additional connection. I have never seen it mentioned in TMV fan circles so here you go. I remember a audio Q&A John recorded on his mini disc multi track. Reading questions people sent him and answering them. There he said that Kiedis went to ealry MarsVolta shows in LA and told him about it. They went to a show and went backstage and there he was introduced to Omar and Cedric. He mentioned that Omar gave him Tremulant and did not have DITC yet although it had been out by that time. "He mentioned that Omar gave him Tremulant and did not have DITC yet although it had been out by that time." John had a copy of Tremulant at the time when he recorded the Q&A. But he didn't own a copy of DITC yet. Just because he didn't have the LP at his house doesn't imply that he didn't play on it. 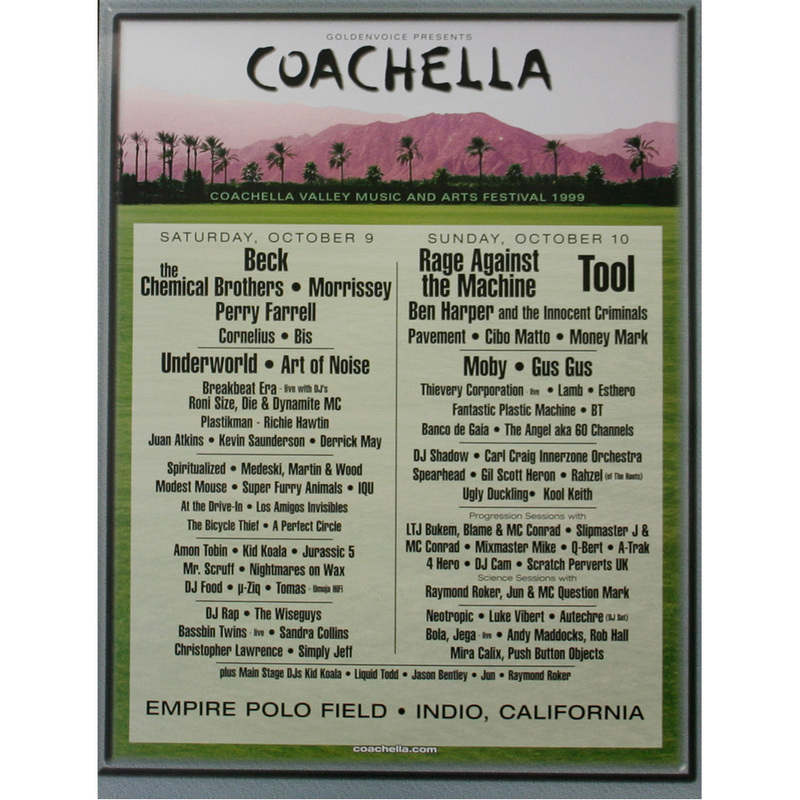 It's worth mentioning that Josh Klinghoffer played Coachella w/ The Bicycle Thief in 1999 on the same day ATDI played. I heard a version once that he became a fan that day, so he could have told John about them, too, knowing what a massive Fugazi fan he was. TMV played a few shows around L.A. in Feb 2002, it's possible that Kiedis went to one of those (Troubadour? ), told John about it (they were living at the Chateau Marmont recording the vocals for By The Way at that time) and maybe John even went to see the Volta at one of those dates (Spaceland?) before approaching Omar at the De Facto show in April. In an adjacent room, guitarist John Frusciante is taking advantage of the provided stereo by blasting an electric mix, ranging from Mars Volta’s “Cut that City” to Sam Cooke’s “You Send Me”, increasing the volume on the latter and turning to fellow band member Flea. Wooh, money mark is also there. Coincidence? So glad this happened. DE FACTO 4 EVA! They also play Exit Template in the first video. And the moment when the main groove in Fingertrap starts is so damn funky! With that tight and more aggressive drumming it reminds me a lot of Zechs Marquise.